The story of E. B. 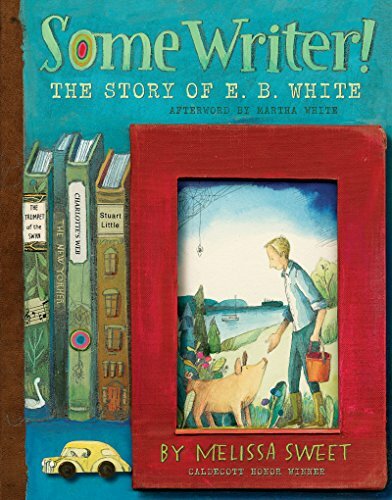 White for children—beautifully written and illustrated. “A children’s story that can only be enjoyed by children is not a good children’s story in the slightest,” said old C. S. Lewis. Get it for yourself—and then, after savoring it, perhaps you should share with your children. 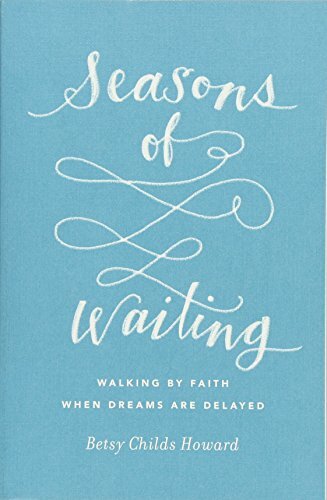 God’s ultimate goal in making us wait is to give us himself. 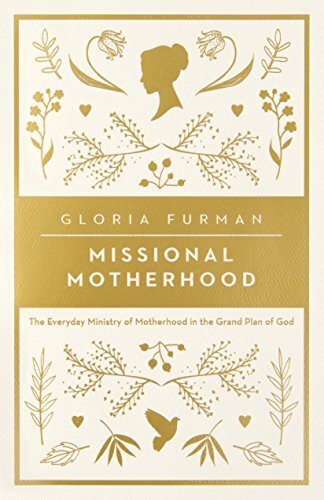 Missional motherhood is for every woman, regardless of whether you have physical children. 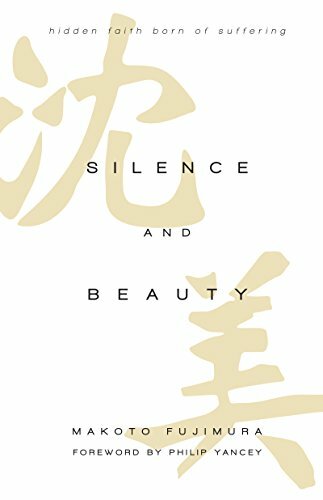 Suffering, silence, mystery, and hiddenness are important aspects of the Christian story, but not the only ones. The gospel is fundamentally good news, after all. The resurrection frames Christianity as a paradigm of hope. The cross and the empty tomb, like the “reflecting absence,” imprints of the World Trade Center or the daily rhythms of a setting and rising sun, are two sides of one beautiful story. One without the other is incomplete. Silence is all the more beautiful in the context of sound, in a world where God spoke open the void: “Let there be light” (Gen. 1:3; cf. 2 Cor. 4:6). Christianity is not about Jesus getting swept into your story, but you getting swept into his. 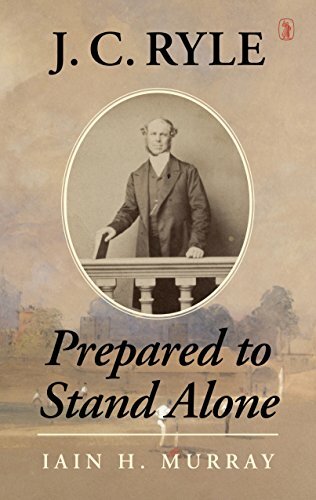 This book is a welcomed addition to the all-too-short list of J. C. Ryle biographies and a fitting tribute to him on his 200th birthday. 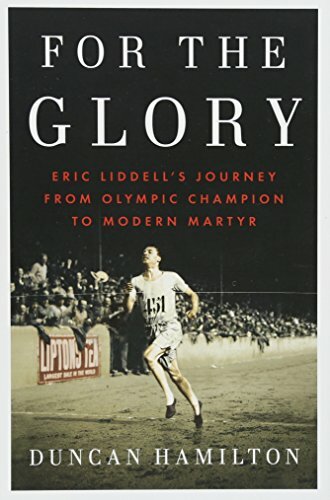 With this book the spotlight is bound to shine on Eric Liddell with more intensity than at any time since ‘Chariots of Fire’ 35 years ago. We’re outsiders. Never completely fitting in. Anomalies. 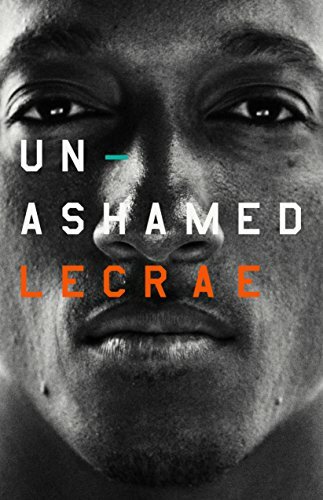 That’s Lecrae’s story. It’s my story. Hopefully it’s yours, too. Our primary problem as Christian women is not that we lack self-worth, not that we lack a sense of significance. It’s that we lack awe. 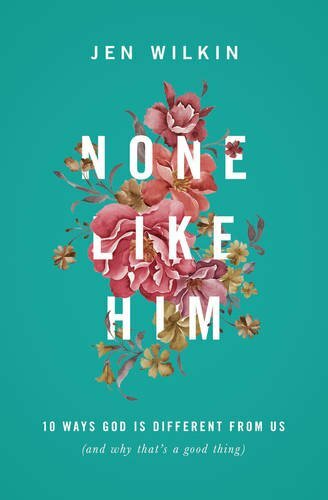 An immensely compelling story about two friends who deeply respected each other: the hardened atheist and the fervent Christian evangelist. 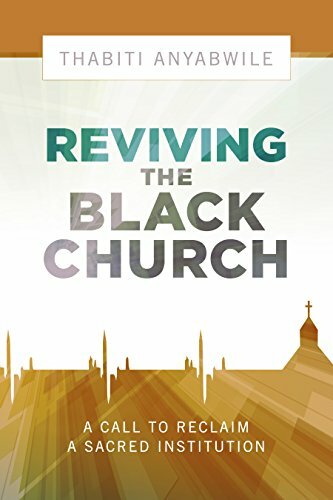 The American church desperately needs renewal and reformation, especially as our culture works out the sad implications of its secularism concerning gender, human rights, and more. 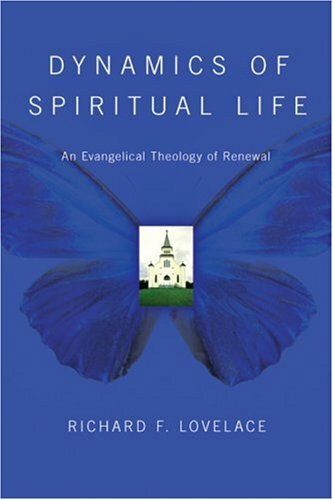 Dynamics of Spiritual Life, though written in 1979, can help chart the way. I can’t think of any book as profound, wise, and challenging on these matters. Yes, it’s high time to re-read this modern classic. 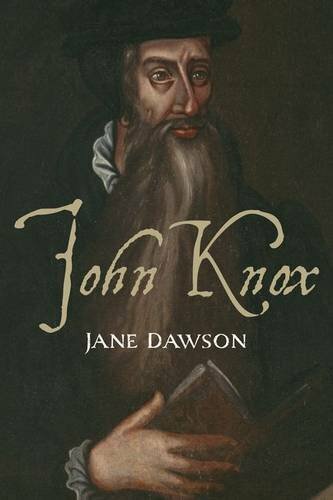 Dawson’s treatment in John Knox rehabilitates this man who was so little thought of by his own country that his grave marker is now part of an Edinburgh parking lot. In the same way Bruce Gordon did with Calvin in 2009, Dawson brings this often reviled yet undoubtedly significant man to life. Perhaps far more than his grave marker, this biography will serve as his true monument. 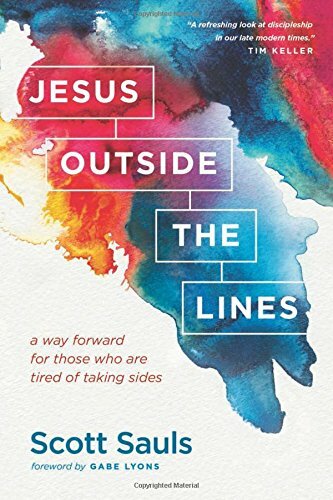 Against the backdrop of a youth ministry culture bent on entertainment and gimmicks, veteran youth workers Cameron Cole and Jon Nielson have compiled a thoughtful collection of essays. 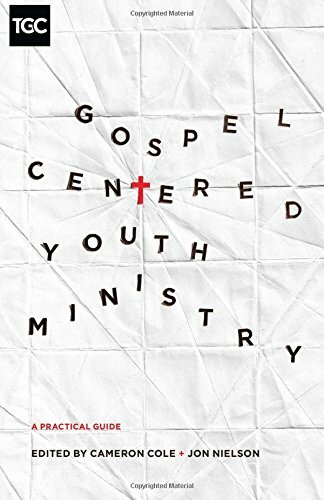 In *Gospel-Centered Youth Ministry: A Practical Guide,* 14 contributors provide a clear call to faithful and Christ-exalting youth ministry. What does it mean to be biblical? 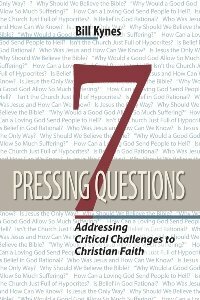 In many ways, Kevin Vanhoozer has been seeking to answer this question his whole theological career. Is “biblical” merely an ideological linguistic move by certain evangelical power-brokers to sanctify one set of beliefs and practices over against others? Or does the word actually capture something unique about what it means to walk this way, and not the way of the world? 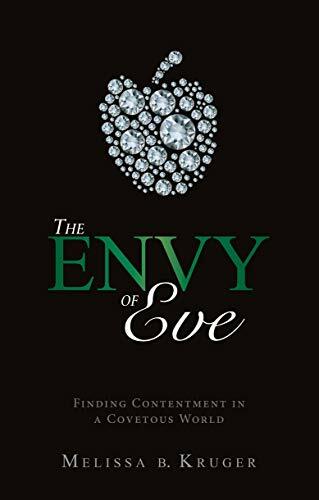 In the midst of a covetous society, *The Envy of Eve* is exactly the kind of remedy we need. 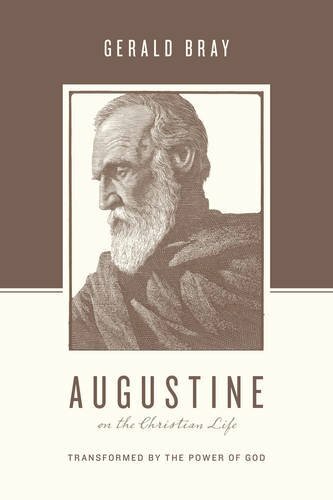 After Jesus and Paul, perhaps no other figure in history has defined the Christian faith as much as Augustine of Hippo (AD 354–430). 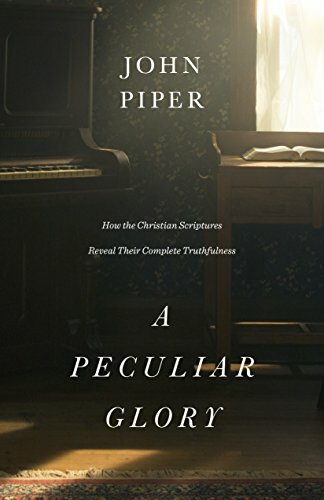 Having endured some intense seasons of “embattled sight,” I’m drawn to Piper’s argument in *A Peculiar Glory. * He articulates what I’ve experienced in my own pilgrimage. For many years after my conversion I attempted to establish my assurance of biblical truth in logical and historical arguments, but was, despite a few fleeting moments, adrift in doubt. It was good I was afflicted (Psalm 119:67, 71), though, for I’ve been taught to ground my intellectual and spiritual certainty not ultimately in apologetics, but in God’s Word and the beauty of his Son revealed there. Reardon offers many insights into Christ and the Gospels—and he does so in a way that balances a high view of the complete authority and reliability of the Gospel accounts with a rich understanding of the different literary approaches taken by the four evangelists. Discussing Islam is a minefield of possible offenses and objections. 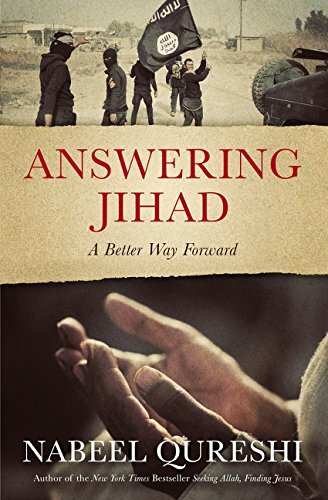 And though it’s impossible to nuance every statement in a way that appeases all, *Answering Jihad* manages to establish profoundly helpful parameters for discussing an otherwise inflammatory topic. He does so by defining his terms clearly, engaging opposition honestly, and expressing charity. 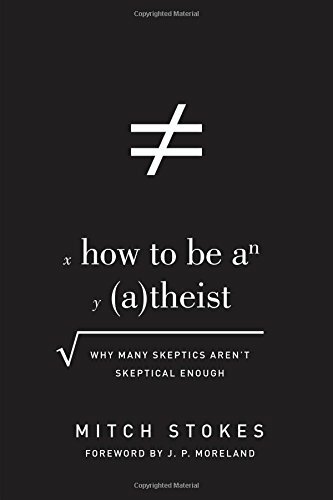 How to Be an Atheist is refreshing, written by a man who has clearly embraced the sober skepticism set forth in his book. While some may consider this compromising, we should embrace a healthy form of skepticism that rejects from conviction rather than mere conjecture. 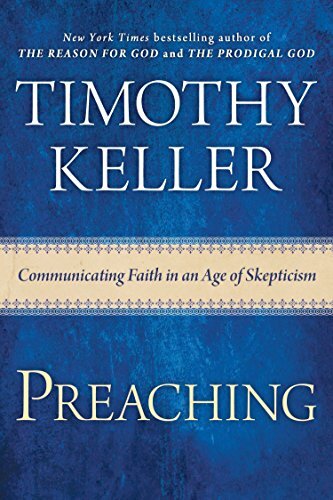 “The believer’s skepticism should be a studied one,” Stokes contends, “not an ignorant flinch” (15). Originally published in 1952, C. S. Lewis’s *Mere Christianity* has taken on a life of its own. 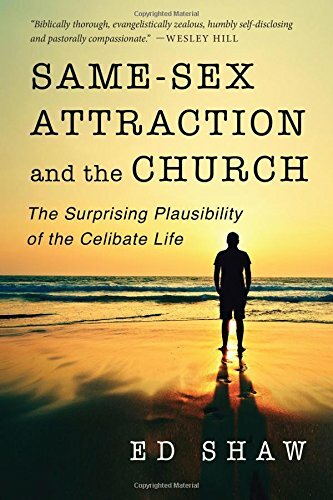 The book remains favored among Christians and challenged by skeptics. In other words, it’s not going anywhere anytime soon. That’s why it makes perfect sense that George Marsden, professor of history emeritus at the University of Notre Dame, has authored a biography not so much of Lewis, but of his powerhouse publication that’s now sold more than 3.5 million copies in English alone. 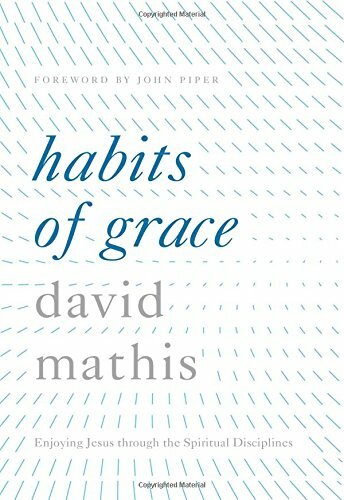 Mathis, editorial director for Desiring God and pastor of Cities Church in Minneapolis-Saint Paul, reveals his pastoral heart in Habits of the Heart: Enjoying Jesus throught the Spiritual Disciplines. 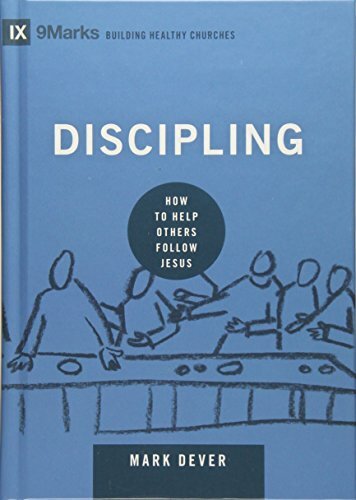 His goal is simple: to help Christians “simplify their approach to their various personal habits of grace.” In so doing he groups the spiritual practices in an original and helpful way: “hearing God’s voice (his Word), having his ear (prayer), and belonging to his body (fellowship)” (15). Mathis suggests this organizational structure is one of his approach’s—and therefore the book’s—distinguishing marks. And I agree. 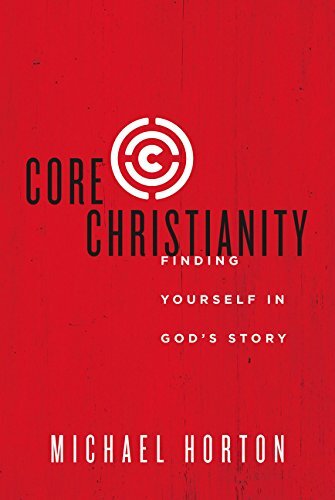 If you’re willing to sit down, take a pen and paper, and chew slowly on Sherman’s work, you’ll be reminded that you don’t have to settle for an average Christian life. The Holy Spirit—God living inside you—has more for you. “By his Spirit, he calls us home” (223). 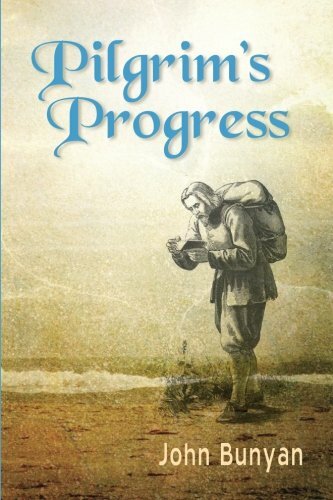 Bunyan prepared me well for the subtle stings and snares, the treacherous traps and temptations, that lure pilgrims away from the Right Road; but he also taught me there are many places of refuge along the way. The Palace Beautiful, the River of God, the Delectable Mountains—all provide rest and refreshment for the weary pilgrim. 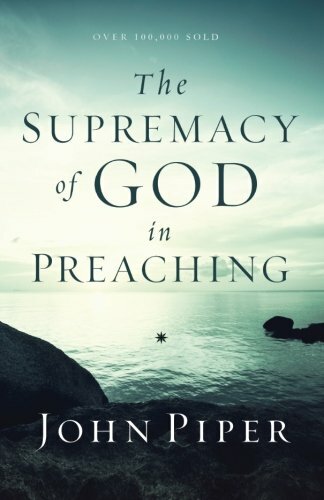 John Piper’s ‘The Supremacy of God in Preaching’ has stood the test of time. It merits reading by a new generation of preachers who seek to honor God’s Word and feed his people. 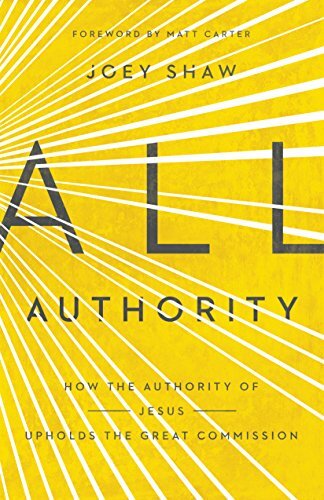 *All Authority* succeeds in its mission—glorifying Jesus as Lord and calling us to go in his power to the nations. This isn’t just a book to stir up the next generation of laborers to go to the hard places. It’s a needed encouragement and guide for all those sowing and suffering even today. 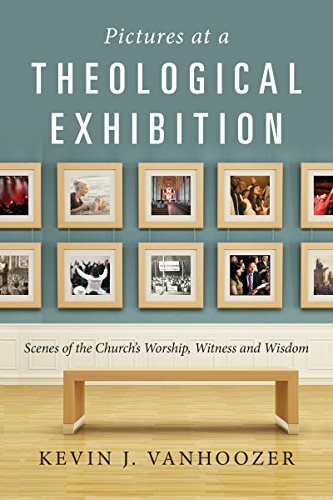 While this is an academic book—all the authors but one hold academic posts—pastors and well-read laypersons can profit from it in three ways: 1. This book reminds us that deep divides mark current Pauline interpretation; 2. This book, carefully studied, contains revolutionary pastoral reminders; and 3. 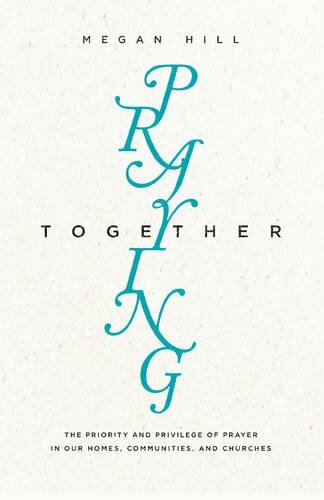 This book is a fresh invitation to (re)join Jesus’s school of discipleship for our salvation, the church, and mission to all places. 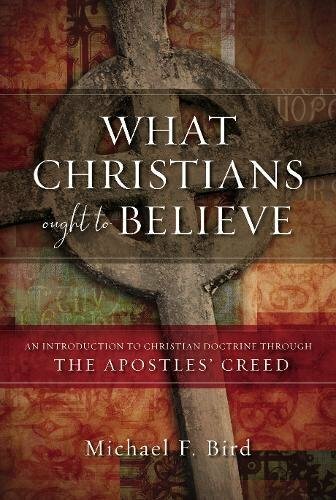 This book addresses the questions and concerns that continue to claim the attention of believers—the role and significance of the Bible, the best methods of interpretation, and the proper relationship between Christians and the world. 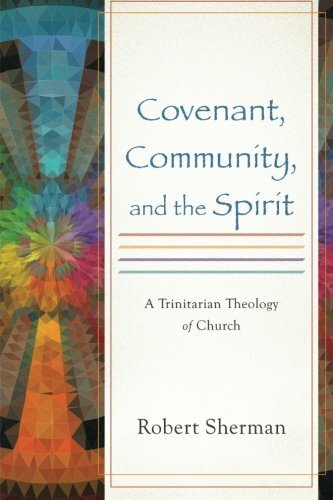 For these reasons, believers of all denominational stripes—not just those in the PCA—should warmly embrace this book. 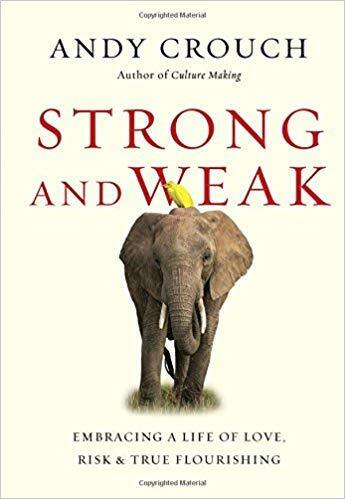 Apart from its easy prose, vivid stories, and keen insights, Strong and Weak is beautiful because it drives toward the gospel. 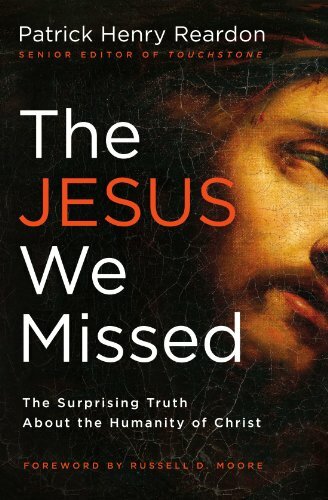 Crouch masterfully shows Jesus is the one person who held this elusive paradox in tandem—full authority and full vulnerability—for the sake of those he loved. 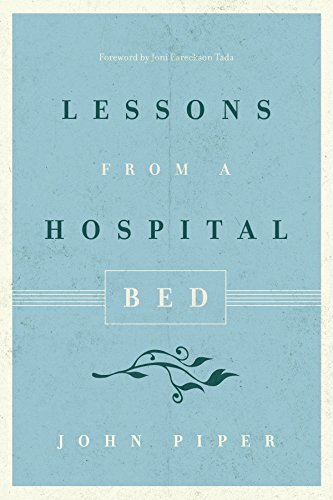 John Piper’s Lessons from a Hospital Bed makes a powerful point for hospital patients, pastors, and family members of the hospitalized alike: expect God to be at work and internalize God’s promises in Scripture so that in the midst of the pain and distraction, God’s Word bears fruit. 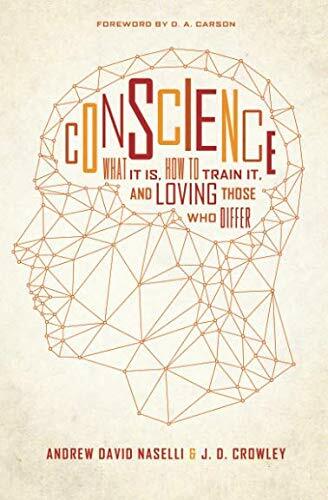 I highly recommend The Pastor’s Book. 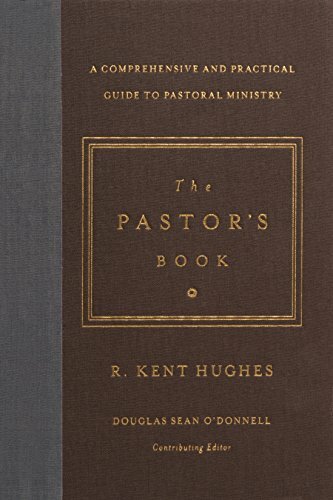 This excellent resource shows how seasoned pastors have conducted their ministries, and it provides a template for applying wisdom to other areas of ministry, even if not directly addressed. That is a rare gift. Despite the significant differences between our perspectives, I found Pyle to be a worthwhile and generous interlocutor. 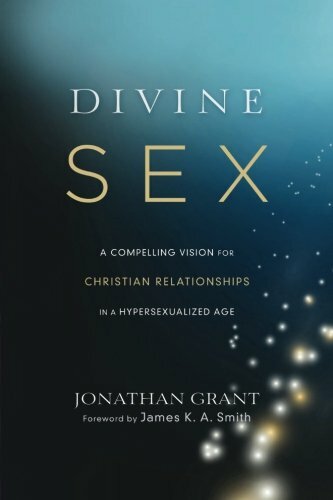 While he articulates a vision of masculinity that sharply opposes those of many contemporary evangelicals, he expresses his position with a disarming openness to his readers and in a manner that, although probably distorted by its chosen foil, admirably resists being defined by what it’s against. 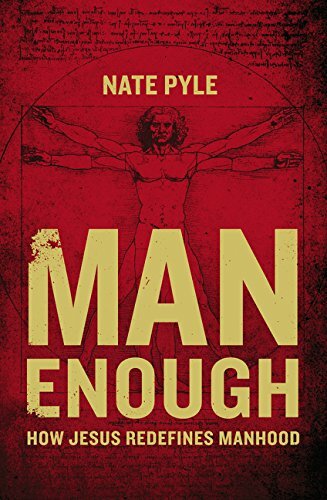 When I finished Man Enough, I discovered that, even given my differences from Pyle’s position, I was thankful to have read it. 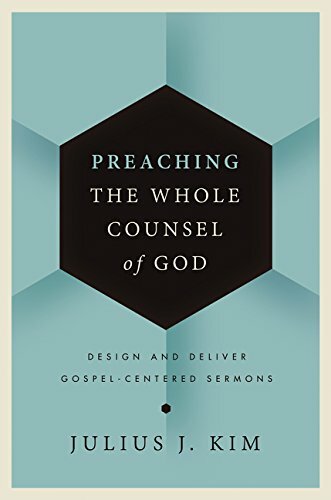 Don’t let the low page count or lay-level vocabulary convince you to skip Kynes’s book; it very well may create gospel conversations you didn’t know could happen. 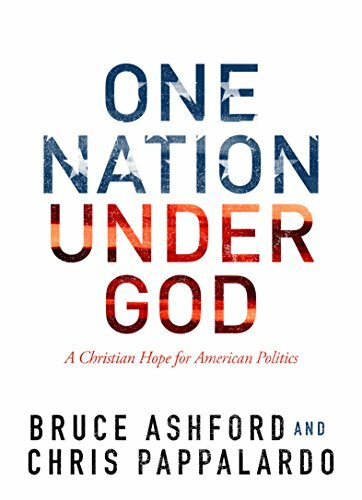 One Nation Under God is simple and powerful. 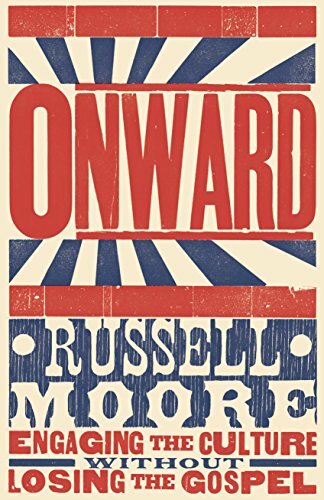 The book rightly estimates the role of politics for Christians, and then empowers us to press on. 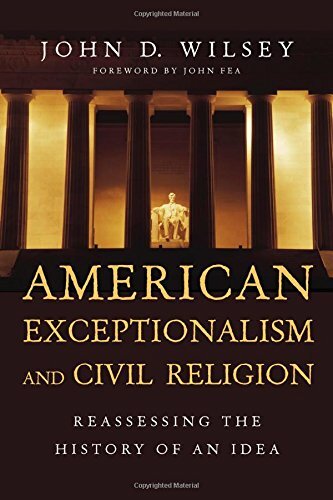 Of particular merit is the fact that Ashford and Pappalardo take nothing for granted, thus offering an valuable introduction to political engagement for pastors and laypersons. 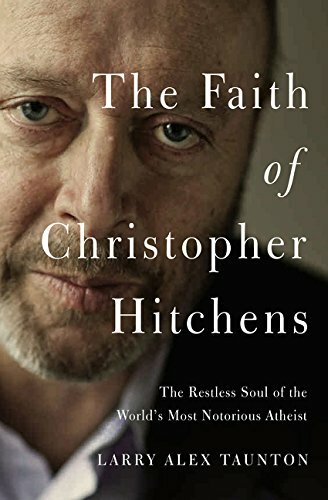 The arguments are lucid (the framework alone is worth the price of the entire book), and the text highly readable. 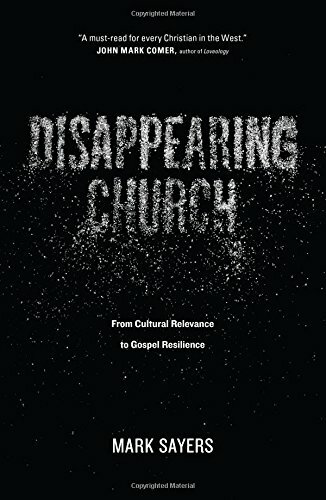 I’m eager to make this book available to the members of my own church. Despite a few shortcomings, for me this book was like pizza: even at its worst, it’s still pretty good, and at its best, it’s fantastic. 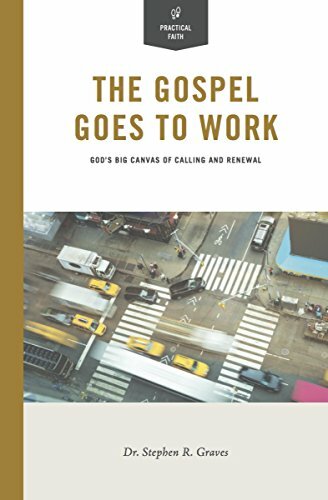 A seasoned conversationalist in the faith and work space, Graves focuses on his “gospel goes to work” grid, which merges two coupled concepts: baseline/blue sky and individual/organizational. (1) The “baseline” is the minimum standard for taking your faith to work, and the “blue sky” is the most integrated application of your faith and the gospel in your particular work setting. (2) The individual/organizational pair draws on the important distinction that the gospel isn’t a private faith but a public truth and, therefore, isn’t just for individual forgiveness but for the redemption of creation—a key aspect of The Gospel Coalition’s Theological Vision of Ministry. For anyone interested in the story of what God has been up to in China, A Star in the East is a must-read. In many ways it tells the story of the Messiah’s triumph in China. 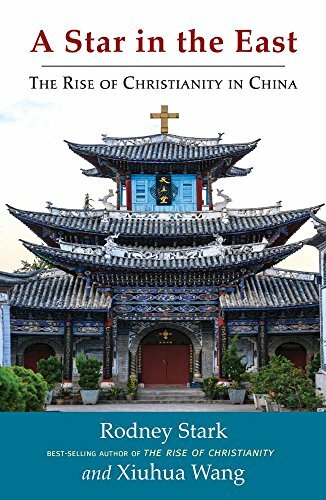 Stark and Wang set out to shed light on both the how and the why of the spread of Christianity in China. Along the way, they challenge assumptions and shine new light on the types of people turning to Christianity. 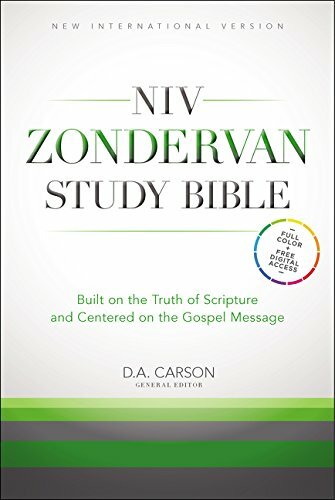 Weighing in at nearly 3,000 pages with 66 contributors, 94 maps, 81 charts, and 28 theological articles, the NIV Zondervan Study Bible [50-page sample] is a remarkable feat. 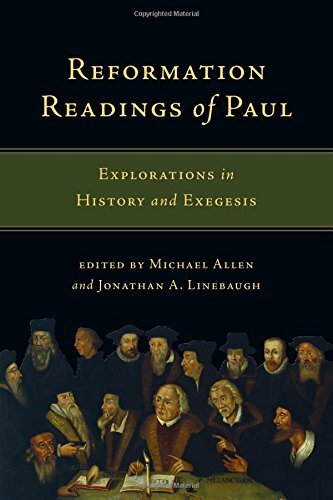 It nicely complements the ESV Study Bible, which focuses more on systematic theology, by accenting biblical theology—how various themes and trajectories develop across the unfolding storyline of Scripture. Most valuably, the verse notes and articles spotlight how your whole Bible is finally about one saving hero, Jesus the King. John Stott famously said preaching must connect two worlds—the ancient with the modern. 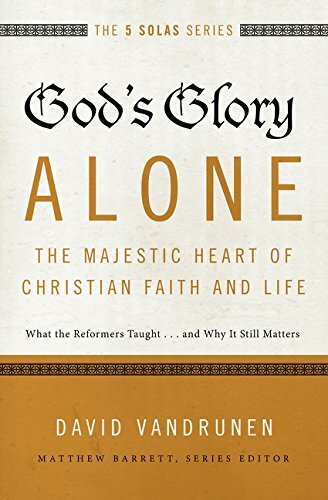 There are few men more gifted at this difficult but vital task in our day than Tim Keller, and his excellent new book instructs us how in compelling fashion. 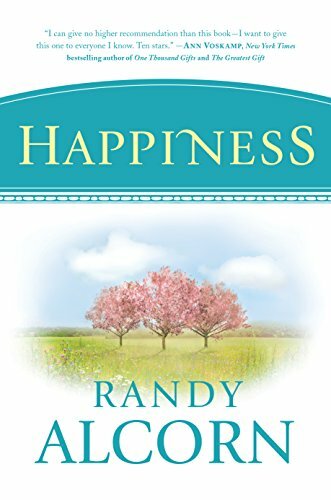 How can a Christian be happy in God? Randy Alcorn has considered this question from more angles than I would have thought possible. The result is a comprehensive but enjoyable reference work, both theoretical and practical, that is suitable for probing inquiry or bedside reading. In the age of text, tweet, Facebook post, and Instagram picture, we are slowly losing the ability to engage in conversation. 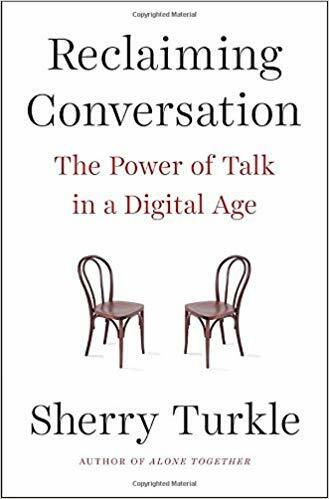 We’re digitally connected more than ever before, with more people than ever before, yet we are conversationally impoverished. 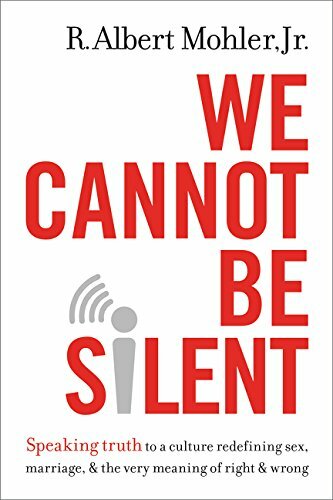 What each of us experience to greater or lesser degree, MIT professor of social studies Sherry Turkle details in her latest book. Of all people, Christians can lead the way in reclaiming conversation as we live together as God’s people, establish healthy practices with technology in our homes, seek to be present with friends, and reach out to unbelievers with gospel conversations. If I can be indulged in connecting this to the winner above, the Inklings are an example of this as the Zaleskis note: “[I]f the stated purpose of the Inklings was to read and critique one another’s writings, the implicit but universally acknowledged aim was to revel in one another’s talk. Often gatherings had no readings at all, only loud, boisterous back-and-forth on a vast range of topics. Among the Inklings, pen and tongue held equal sway” (196). You can find longer and more detailed textbooks on preaching. But Kim has combined the best of those works with his own insights in this wonderfully helpful introductory guide to making much of Jesus from the pulpit. This beautifully designed book would be especially useful in training preachers without seminary experience. 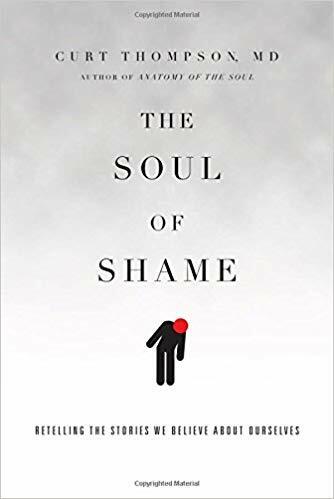 You might not expect this to be a faith and work book, but it’s amazing how much shame plays a part in our work. 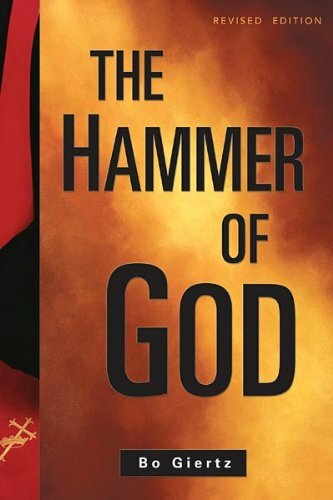 It’s “the emotional weapon that evil uses to (a) corrupt our relationship with God and with each other, and (2) disintegrate any and all gifts of vocational vision and creativity.” Thompson's stories, which range from the personal to the professional, illuminate how shame causes us to isolate and alienate ourselves from one another. Yet his stories also have the power to expose shame in our hearts and in our relationships. 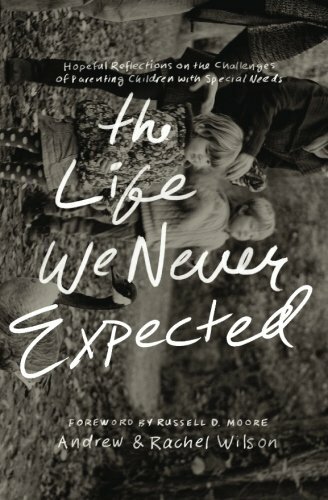 This is a beautiful and hopeful book that's both intellectually and emotionally moving. 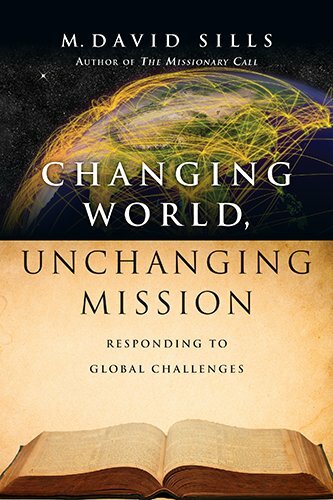 There’s no one I trust more to mentor me in the practicalities of effective global missions than David Sills. 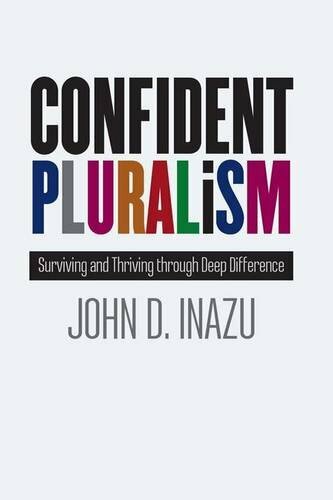 In this book, his decades of experience and balanced wisdom help me navigate the hyperbole and overreactions that are so common. This will be a trusted resource I go back to often. 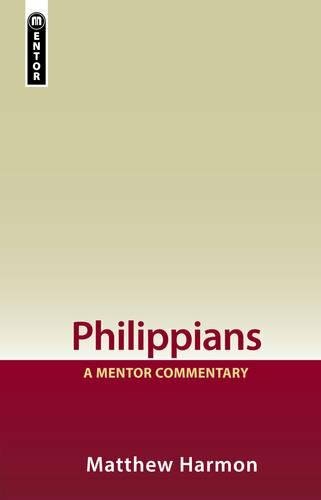 Earlier this year I was preparing to teach through Philippians, so I picked up several commentaries. I had never heard of Matthew Harmon. Within the first few weeks of teaching, though, his became the first resource consulted. By the end, it was sometimes the only one. 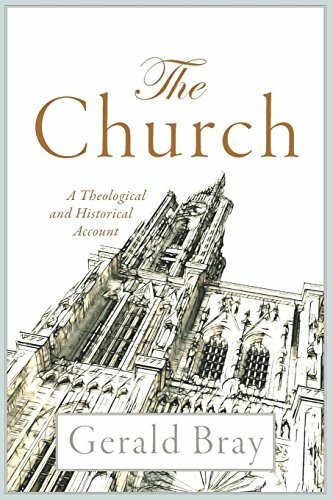 Academically informed, clearly written, and pastorally insightful, this is evangelical scholarship at its best. 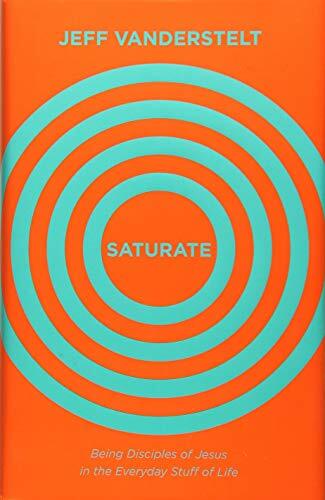 The volume is filled with helpful outlines, charts, and suggestions for gospel-driven application. I’m already anticipating Harmon’s next contribution. 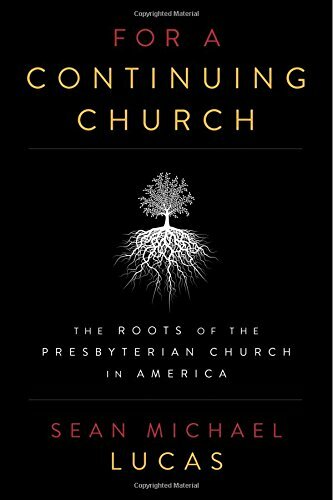 This book was a key factor this past year in renewing an important (and ongoing) conversation about the nature of the pastoral office. 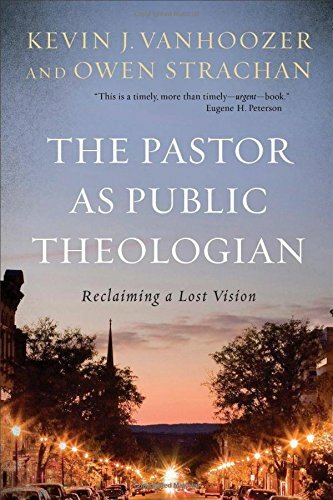 Vanhoozer and Strachan seek to restore the vision of the Reformers and their Puritan ancestors of the pastorate as an office primarily defined by theology. The pastor must not see himself fundamentally as a counselor or motivator, but as a man called to mediate the transcendent truth of God to the people of God so they might live all of life to the glory of God. 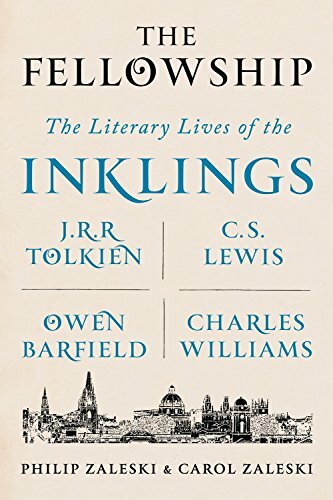 The Inklings—so named for their expression through ink as well as for their writings which gave inklings of a higher world—gathered together on a regular basis in mid-20th century Oxford to discuss their latest work and enjoy each other. 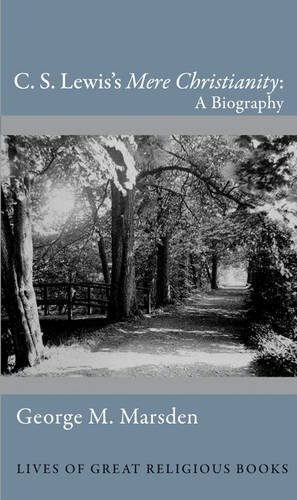 The husband-and-wife team of Philip and Carol Zaleski have produced a beautifully written and thoroughly researched 644-page literary biography examining four of the best-known of the group. It’s hard to overstate the influence of the Inklings on the shape of today’s cultural and imaginative life, and this book does them justice. 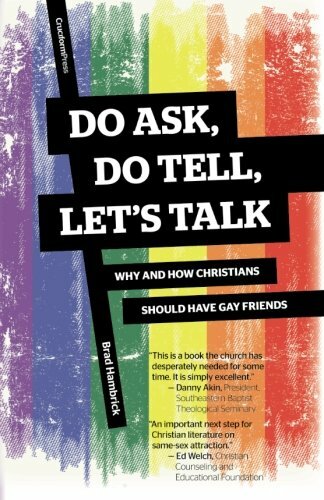 For the past several decades, the acceptance of homosexuality has divided society; now it threatens to divide the church. 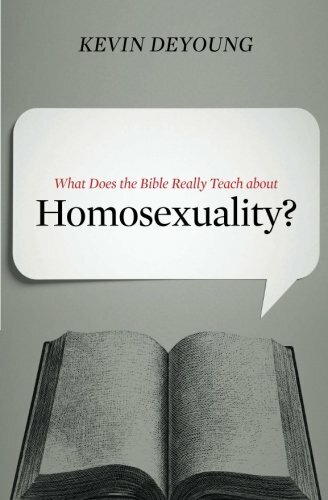 DeYoung’s brief but thorough examination helpfully explains what God’s Word truly says about homosexuality and provides a superb resource for defending a biblically faithful view of sexual ethics. 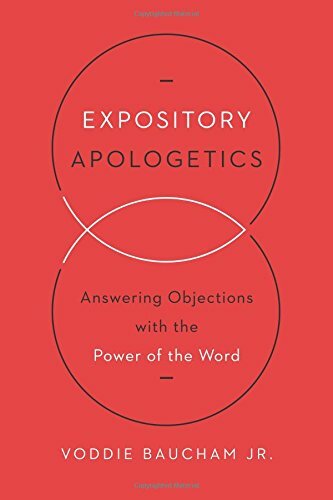 May God use Expository Apologetics to stir in its readers a passion for God’s Word, boldness to speak the truth in love, and wisdom to make a defense for the hope within us.